Counter-Strike 1.6 is a MOD for Half-Life that is set in a teamplay mode. 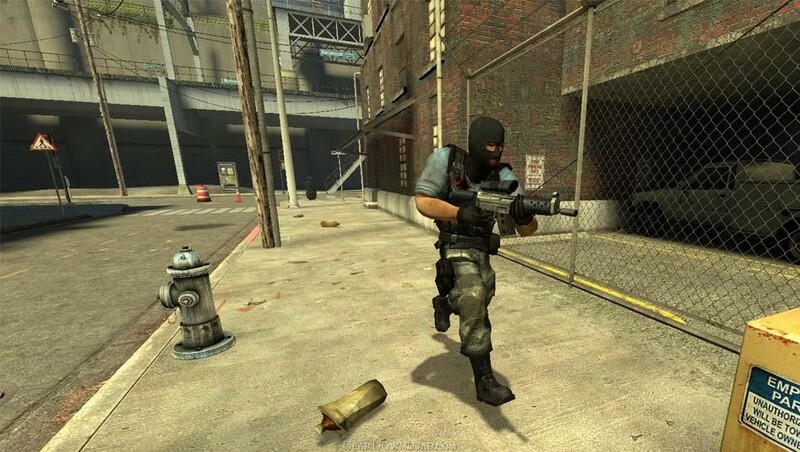 Counter Strike is a video game designed for the Xbox gaming console and personal computers. It is played first-person mode that involves shooting your enemies, with weapons you will find in the world today. Counter Strike is a Series game with Counter-Strike: Condition Zero, Counter-Strike: Source and Counter-Strike on Xbox. To beat the game you must beat your enemies and complete the task before they do. Pros: The first Pro I guess would be that it is has a specific rating for children 13 and up, however it is up to the parents to decide if their children are really mature enough to play it. The amount of resources needed to play the game are another Pro with only Windows needed along with a 500 MHZ Processor, 96 MB of Ram, a Keyboard and mouse. To play it on the computer you have a couple of choices making this another Pro, with either a CD or Streaming Video, so you don't have to run out and buy it to try it. Cons: As always there are cons to something or another. One such con is that it is very life like, which is fine for adults and more mature teenagers. There are cheaters in the game as well but the creators and administrators for each game have a tendency to keep an eye out for this and limit what dead players and other player can do. Many people complain that it reflects on society causing another con, but I have found in my experience it is better not to throw stones than have someone throw some at you. This download (steaminstall_cs.exe) was tested thoroughly and was found 100% clean. Click "Report Spyware" link on the top if you found this software contains any form of malware, including but not limited to: spyware, viruses, trojans and backdoors.